The 12 Days of KISSmas is one of the coolest times of the year for Mike and Tricia Mornings listeners, but it's a big ball of stress for me. You get 12 days of fabulous prizes, I get 12 days of having to worry that I'm reading the day's prize the same way 3 times! You walk away with your Christmas list taken care of AND a thousand dollars, I freak out every time I hear the 12 Days of KISSmas music! But don't let my discomfort stop you from trying to win the 12 Days of KISSmas, and just to show how much I love our listeners, here's how you can win! If you're new to Mike and Tricia Mornings, here's the scoop on the 12 Days of KISSmas. Listen every weekday morning at 6:40, 7:20, and 8:20 for us to read that day's prize. Write down what we say verbatim, and on December 20th, we'll give caller number 93 the chance to read back the entire list, exactly the way we said it. 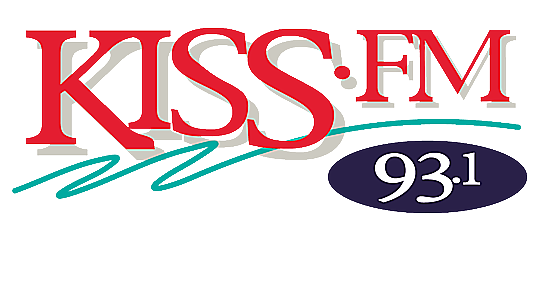 If caller 93 nails the list, they win every prize on the 12 Days of KISSmas list, including the one thousand dollars! If not, we go on to the next caller. 1. Keep your list in the same place - Use the same piece of paper, or the same document on your computer. You don't want to be caller 93 and realize that you wrote down half your list on your hand, and days 7 - 10 went down the drain when you took a shower. 2. Use the buddy system - No, not Buddy the Elf, the buddy system. Get your co-workers, your sisters, your friends, anyone you can think of to listen and write down what they hear. There are so many prizes that you could split the list and the thousand dollars with someone and still make off like the Grinch from Whoville! 3. Take a deep breath - If you have the chance to recite the list back to us on December 20th, take a deep breath and take your time. There are a lot of amazing prizes on the list, and a thousand dollars, at stake. We have plenty of time, so go to your happy place and get through the list. 4. Don't get up early on Saturday and Sunday - Don't worry about setting your alarm clock on the weekend, because the 12 Days of KISSmas is a Monday through Friday thing. Hey, we need sleep, too! 5. If you don't listen, you won't win - 6:40 a.m., 7:20 a.m., and 8:20 a.m. Those are the only times you'll get the day's prize from us on the air. We won't give it to you on the phone, no matter how many meetings you were in, or traffic tie-ups you had to deal with, or satellites that fell out of the sky and torched your radio so you couldn't listen. Monika and Patty won't give it to you, either, because they don't have the list. Sorry. We're not trying to be mean, we're just being fair! Today was the first day of the 12 Days of KISSmas. We'll repeat it tomorrow morning, so get ready!